The Janome DC6030 is suitable for the amateur quilter, as well as being simple enough for a casual sewer to pick up and use out of the box. 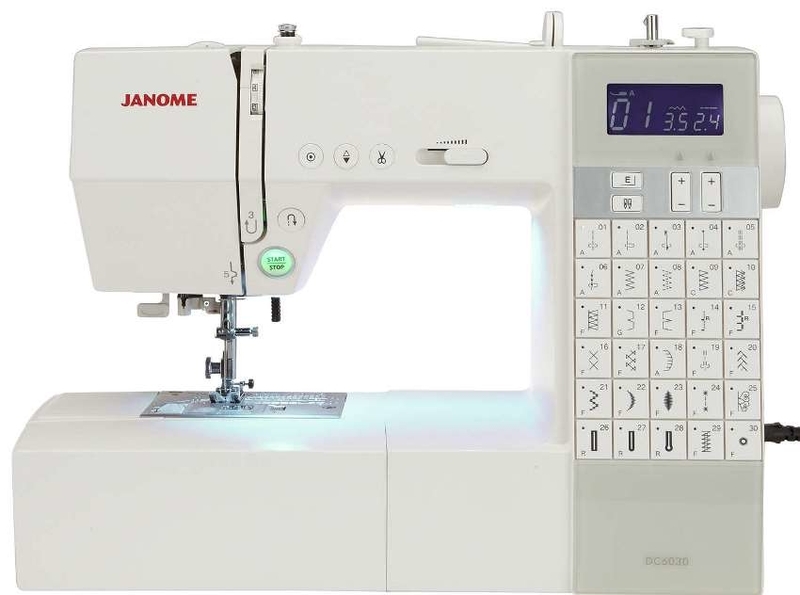 The difference of the Janome DC6030 compared to other machines in the range, are the Direct Stitch Selection keys. 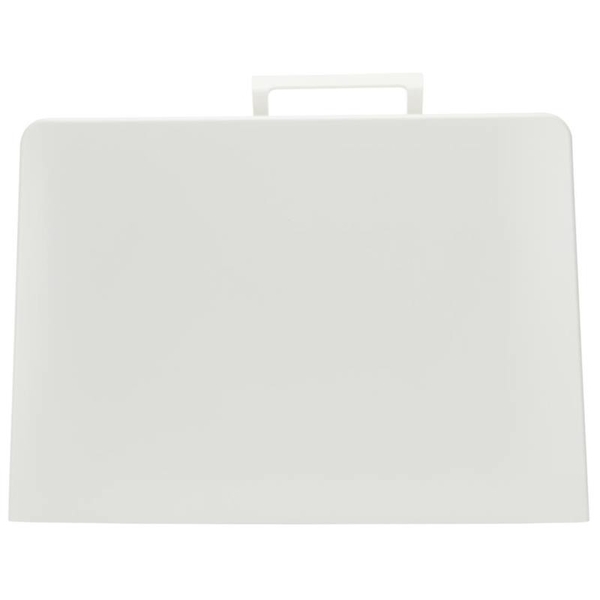 All 30 stitch functions and automatic buttonholes can be selected at the push of one button. Furthermore, The LED screen will display the recommended foot for the stitch and will set the stitch length and width for you. Of course, these settings you are capable to changing as you see fit, to truly customise your project. 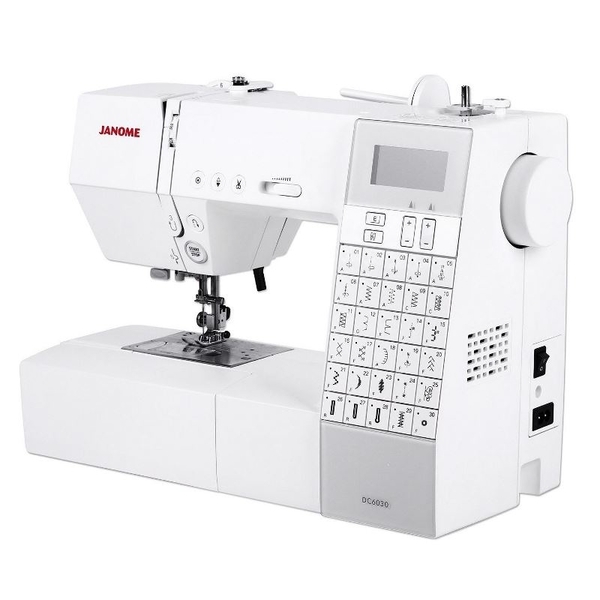 As the Janome DC6030 is smaller than the long arm quilting machines, it is great for those wanting a portable machine to take to quilting classes. You’ll not only save time with these features but with the needle threader, automatic lock-off stitch and thread cutter you’ll also save precious materials as wastage is almost NOTHING! The DC6030 also comes with an extension table so, you not only have extra work space available BUT with the knee lift you have more control than ever before! 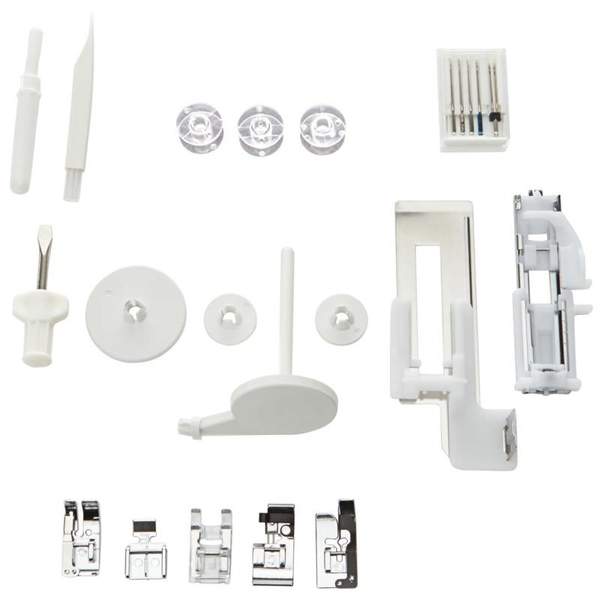 You can use the knee lift to raise and lower the presser foot without ever having to take your hands off the quilt! So what are you waiting for, realise your dream and become a proficient quilter in no time with the Janome DC6030!